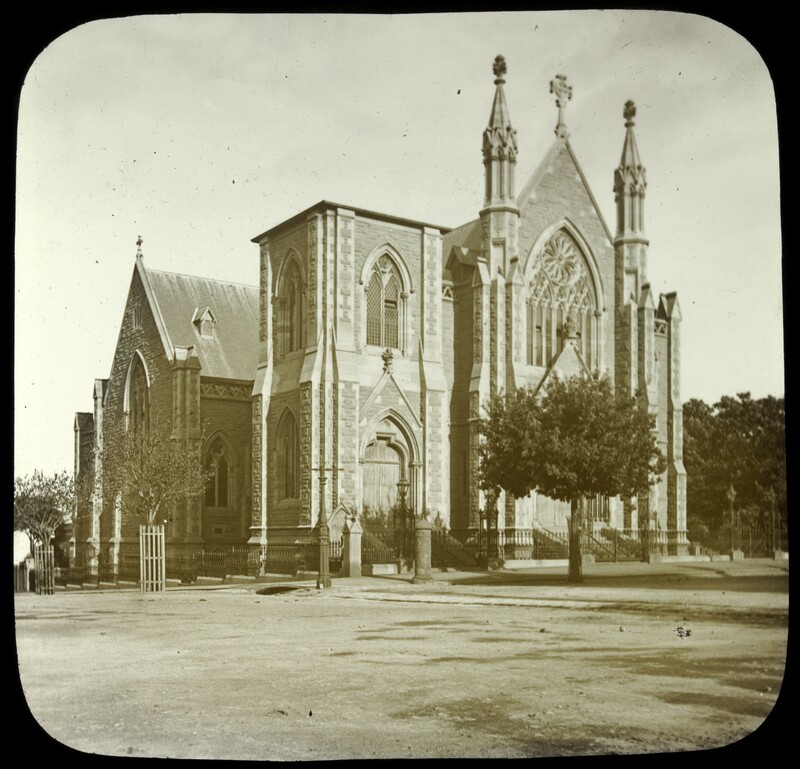 Scan of glass lantern slide of the Cairns Memorial Church, East Melbourne by John Henry Harvey. Title: Cairns memorial Church. East Melb. [i.e. Melbourne] [picture] / J. H. Harvey. Description: 1 slide : lantern ; 8.5 x 8.5 cm. Notes: Title inscribed on slide. Photographer's name inscribed on slide. Contents/Summary: Exterior view of church on the corner of Powlett and Hotham Streets, East Melbourne. The building was completed in 1895. Source/Donor: Gift; Miss Coath; 1938. Related works: Series: J. H. Harvey collection of lantern slides. Biographical/Historical note: Born in Melbourne; architect; worked 38 years with the Public Works Department of Victoria; Fellow of the Royal Victorian Institute of Architects; Fellow of the the Royal Australian Instuitute of Architects; Fellow of the Royal Institute of British Architects; Honorary Editor of the Journal of the R.V.I.A for many years; died at his home in East Melbourne, aged 83.